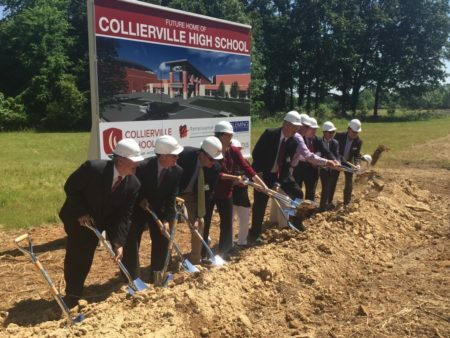 Collierville Breaks Ground on New High SchoolEvans | Petree, P.C. • Evans | Petree, P.C. Local and state dignitaries, including EP Shareholders Joe Getz and Mike Marshall, helped break ground on the site of the new $99 million public high school in Collierville on Friday, May 13th. To read the entire article featured in the Memphis Business Journal, click here.